After years of experience and a track record of successfully guiding their clients through the insurance maze, Ryan and Scott Sacchieri, brothers and Goosehead Insurance agency owners, deliver on their promise to make things right after a loss. Goosehead Insurance is an independent insurance agency servicing individuals all over Texas. The Sacchieri brothers take pride in providing the power of choice to their clients with all of their insurance needs. They shop among many top rated insurance carriers to find the best coverage at the best rates which gives their clients options that no ordinary agency can. 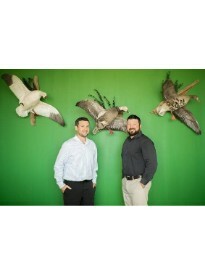 Ryan and Scott value each of their clients and their goal is to provide the clients with the best customer experience. They would love the opportunity to meet your auto, home, life and business insurance needs.